Today, more than 40 national and regional Geological Survey Organisations (GSOs) from over 30 European countries have joined forces to launch the ERA‐NET co-fund action “Establishing the European Geological Surveys Research Area to deliver a Geological Service for Europe (GeoERA)”. The integration of the participants’ knowledge and information on subsurface resources, to support sustainable use of the subsurface and to address some of Europe’s grand challenges, is the key aim of GeoERA. The GeoERA programme, was initiated through EuroGeoSurveys – the organisation of European Geological Surveys, as part of the realization of its “vision towards a Geological Service for Europe” and extended to all GSOs on the European continent. It has an overall budget of 30.3 M€, of which 10 M€ is provided by European Commission and the remainder is provided by the GeoERA participants as in‐kind contributions to the funded transnational projects. It will provide interoperable, pan‐European data and information services on the distribution of geo‐energy, groundwater and raw material resources and harmonized methods to assess these. It will also develop common assessment frameworks and methodologies for supporting the European national and regional policy-makers for a better understanding and management of the water‐energy‐raw materials nexus to determine potential impacts and risks of subsurface use. Mrs Teresa Ponce de Leão, EuroGeoSurveys President, says “GeoERA represents the key step for establishing a common European Knowledge Base and to a joint provision of a Geological Service for Europe. The Geological Knowledge Base will provide European stakeholders with open access to objective and seamless data, information, knowledge and expertise on subsurface resources and their sustainable use and management”. Mrs Yvonne Schavemaker, GeoERA Project Manager, highlights the large impact GeoERA will have in integrating and harmonizing national and regional research resources and optimizing pan‐European coverage of geological knowledge, data and information. “GeoERA results can support policy- and decision-making at European level related to the accessibility, availability and sustainable use of subsurface resources, which plays a major role in one of Europe’s societal challenges, in which they need to facilitate economic growth and common welfare, and at the same time maintain a healthy and safe living environment for its citizens. GeoERA is coordinated by the Geological Survey of Netherlands, (TNO) and supported by a consortium of 45 partner organisations, both national and regional GSOs, qualifying as programme managers and/or owners, from over 30 countries. National and regional GSOs are the main institutions responsible in European countries for the collection, management, interpretation and delivery of data and information relating to the land and marine subsurface, as well as subsurface resources. 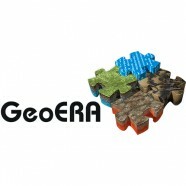 As the key objective of GeoERA is to deliver integrated information on pan-European level on geo-energy, groundwater and mineral raw material resources, this large European coverage of the consortium is imperative to GeoERA’s success, and provides a critical mass for achieving high impact results. GeoERA builds on the long-standing collaboration between the partners, partly within the framework of their umbrella organisation EuroGeoSurveys, as well as in many past and on-going European and regional projects in all fields addressed by GeoERA. More information can be found on: www.geoera.eu.